I just replaced Solara’s 2010 Waves & Bridges page with her 2011 report, for your perusal. After several years of active kundalini, I experienced a profound night out-of-body, in a deep field of living Light. I’ve shared this tale in other posts and also in the book, Kundalini Rising. Immediately following my Deep Light experience, I found myself in a state of Oneness — the most beautiful experience of my life. This divine embrace lasted six weeks, and then dissolved over a period of several days. I believe my experience was a preview of what is to come for all inhabitants of Gaia in the very near future, and it truly is heaven on earth, so hang in there and don’t give up in the turbulent meantime. The book Oneness — gloriously illuminating & poetic transmissions received by Rasha — is my #1 spiritual book, my most ongoingly referenced. It never leaves my bedside. Its harmonic and buoyant language takes me back to the reality of Oneness, allowing me to remember and keep it alive in my soul while waiting for (or co-creating, actually) it to become reality here on our shifting Earth! This little video is a nice visit (featuring book excerpts) so I’m posting it here for anyone who could use a lift, as is often the case for me. Heeding the wisdom of the heart is generally not how we humans have been indoctrinated, and for many it isn’t an easy transition to make when voices from within and in the outer world scream at us to “be logical.” This is the left brain/right brain, masculine/feminine, divine/human perspective we are needing to address now. The heart is the master to listen to! And Source Creator is now amplifying our capacity to acknowledge divine impulses, to help us get up & running in this regard. If I may distinguish here between “heart” and “emotions.” The heart’s place is in the ascended field of Love. The emotions are generally entangled with the lower centers: battles of will, feelings of insecurity in situations or relationships, etc. It’s no accident that the heart chakra is the middle chakra, situated between the three lower and three higher chakras. The heart is the great synthesizer. The following is another Anael message translated from French. Tune into your heartlight! Beloved Children of Light and beloved Starseeds: Love is Your House. The Archangelic Conclave asked me to transmit this message for the period which will proceed through your summer (northern hemisphere). A number of pulses coming from (or through) your Heart will arise in you. These pulses of the Heart will seem sometimes in opposition and contradiction with pure logic and reason. These pulses will manifest in different ways in the morning when you wake up in the form of dreams, and also during your day. These final pulses of the Heart are designed to make you choose and decide on important things to put into place in your lives, and in this world, to live in the resolution and dissolution in the conditions most suited to your vibratory state. Here is a graphic animation of Lisa Renee’s Sirian 12-D Shield technique — the core practice she endorses to protect yourself from being buffeted about or infiltrated by influences of all kinds, from all dimensions, etc. If it resonates, work with it and see how it goes for you. Maybe come back and comment :) The copy below the screen is Lisa’s. I commit to serve my highest power fully, completely, and totally. You then work with shielding your body and your personal energy field. Most of us know in becoming introduced to our body of work here at Energetic Synthesis, our core practice is the 12th dimensional shield. The 12th dimensional shield is a practice that fortifies and strengthens our aura by reconnecting us to our 12th dimensional blue print or Kryst or krystal body. As we shield ourselves, we learn energetic boundaries of our aura. And then we can learn to boundary test our aura to discordant energies that are uninvited. This is a new source to me (original message is in French), but it’s so striking, I’m sharing it — please filter thru your own truth. ~W PS to subscribers: apologies if you rec’d two copies of this. I am Archangel Anael. 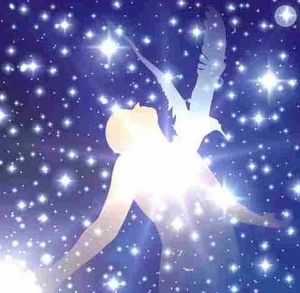 Beloved Children of the Light and beloved Starseeds, I bring My peace and love to you now. We will work together to develop what it means to die to self and to be reborn in Christ. You are now living in the dawn of the final day. The Day that I speak of is not a day in a human way, but a day spread over a certain length of time, a time that will disclose all of the Light, allowing you, if that is your vibration, to return to your Unity. This final reversal is taking place in you now. Since winter is now over it is time to be reborn during this Spring. The Renaissance as I called it means dying to the ego and being reborn in Christ. This is reflected in your passing through the narrow gate [by the few who have chosen to live in the Light], laying new foundations of Life, new foundations of your released structures, and new foundations for the new Earth or your new home elsewhere, depending on your dimensional destination and your stellar home [many will end up elsewhere, some returning to the planets they left long ago, becoming free from this matrix forever]. This portion of the narrow gate is now open, and this should allow you to utilize this and meet Christ personally. There are of course a number of features which are related and in direct resonance with this month that are opening before you. Some of these signs have been given to you like the various sounds that you have heard around the head and in the ears, important new sensations that you have experienced in your Radiant Crowns, and changes in your consciousness and your mood. In the period ahead (if that is your desire) each of you must be transformed by the associated evolution to an inner joy and an inner peace in contrast to the apparent chaos in various parts of this world. The time has now come to be reborn to your inner self in your starseed dimension and all its components. This latest message from Lauren C Gorgo was so incredibly pitch-perfect for me, I had to share it here tout suite. One reason I’ve not been writing much has been due to the incessant feeling of being so out of whack, so beat up in so many weird, painful, depleting and demoralizing ways, I’ve not exactly been inspired to ‘share the joy’ a whole lot, if you get me. The hits just kept coming to the point of my feeling like something was just really wrong with me, i.e., I’ve obviously been low-vibing to have such an ongoing plague of stuff nail me unrelentingly. If your head feels like lead, your heart is on fire, and your body is a mockery of a marshmallow…then welcome to the full integration of head-heart-body. If I may still indulge in polarity for a moment, I have what feels like very good news and very bad news. The good news is that I have been told that this month is the month that the frontrunners of new-human consciousness complete the upgrade to the new-human prototype, the final transformation into mind/body/soul integrated existence. The bad news is that I think its going to hurt like hell. I definitely hope I’m wrong here, but the pains of labor have been p-r-e-t-t-y intense since May began and it doesn’t feel as though it will let up anytime soon. The unseens say otherwise…that the middle of May will bring some reprieve…tho they also admit that this month will be a very “physically focused” one. This is what I heard: every single cell of your played-out bodies will continue, unremittingly, to throb in the writhing pain of cellular mutation. Until forever. If April was a month of reassessing, redirecting and resetting, then May is a month of integrating, mutating and morphing. During the last several weeks, all those parts of ourselves that needed to be reclaimed were revealed to each of us (in mostly odious ways) during that never ending Mercury retrograde cycle. Mercury is finally leaving its shadow station, and we are coming out of a very long and productive inward phase where we released & cleared lifetimes of human/genetic karmic debris… however, with so much growth in such a short period of time, our cells still need the time/space to shift and align with our new level awareness. Because of all the inner-work we completed last month we are experiencing a profound deepening..an unmistakable soul recognition is taking place, a growing awareness of home that is filling every cell of our bodies. Literally. Right now we are adjusting and releasing another round of remaining density so as to align with the harmonious energies of the new-human form, and it does NOT feel good, but as we continue to come into alignment with the vibration of our complete, purified, core selves, our bodies will adjust and release, adjust and release, and the end result will be a perfected physical vessel…the physical representation of our divine-human blueprint. No doubt we are in a nasty funk…we have been knocked down for weeks with symptoms, and tired in ways that mimic the beginning of our journeys. This deep fatigue is present in every tissue, organ, muscle and bone of our bodies…even our blood is tired….but up until now, none of it has made any cognitive sense. The unseens say that all of this is because we are literally changing physical form and our bodies are using all of our vitality to morph…that we are emerging from our proverbial cocoons. Tho the butterfly analogy is relentlessly overused, it is also very poignant in the sense that we are actually changing from one physical expression to another, from the inside out….and just like the butterfly, our release from restriction is timed with the greater cycles of creation. Whenever we go thru these intense periods of physical transformation, its important to remember the magnitude of change we are undergoing….that the transition we are morphing thru is not an incremental (linear) healing that is taking place as in old-paradigm holistic constructs where we “peel back the layers of the onion” to reveal our core. Contrary to that, biological ascension (reconnection) requires that we access our core selves first, in order to effectuate true and lasting change on every level of our being and in every area of our lives. This is also why, for those on the ascension path, no individual healing modality can take us to full symptom cure…not only because these modalities are external, but because true health is not established thru healing, but thru remembering…aligning with…our divine state of wellness. The difference is in the focus. Discovered a web site this morning featuring someone calling himself “The Fire Burn Doctor,” offering the free service of healing any burns reported to a call line or email address within 30 minutes of receiving the burn injury. This aroused my curiosity, as I personally experienced the spontaneous healing of a serious hand burn (my hand was literally in flames; deeply burned) last year. In my case, when I received the burn, I had the strong inner sense that this situation was mine to heal, as though on some level I set this up to prove that it IS QUITE DOABLE to heal oneself in the moment. Not only did I not run to a hospital — I didn’t tell a soul what had happened, thereby avoiding anyone’s escalated concern and likely insistence that I seek medical attention. I had my own intention re: how this event would play out. With my hand in profound pain and packed in ice, I stumbled around, mentally, seeking the right “wave” to catch in consciousness to achieve my goal. Finally, after hours of trying to land on the exact frequency (for lack of a better term) that would accomplish the healing, I “got there,” at which point a perfect peace came over me. I then viscerally felt what I can only describe as a million miniscule “balloons” in my hand suddenly “inflating.” It was similar to feeling a kind of effervescence happening right under the burned dermal layer. Turned out, that unusual sensation was the spontaneous production of new, perfect, “plump” cells that had replaced the deeply burned tissue — my hand had indeed fully healed, instantly. After the process was complete, the hand appeared to have been through months of healing in the space of minutes, with a faint trace of scar tissue as evidence that something did indeed happen, and it involved a collapse of time! Even the scarring disappeared a week later; the hand now shows no sign of having been through such trauma. So in my case, the healing of this burn seemed to involve a matter of speeding forward months in time (at least my hand did) to the point where the healing was a done deal, saving myself all that time in the painful process of ordinary healing. My experience with this burn accident had even greater significance to me because my immediate family seemed to have some kind of karma involving burns. My father endured serious full-torso burns when a boiler exploded, spewing boiling water all over him. His hospitalized recovery was slow and painful. My brother’s house sustained a fire that took out a sizable portion of his second floor. Then the ultimate tragedy happened in the house I grew up in — this overnight fire took down the whole house with my mother in it, leaving her burned beyond her ability to survive. So, when I heard about this service offering free healings (with the caveat that the burns must be reported immediately), I had to look into it. I understand the “immediate” component, because once an injury settles into a body’s energetic signature and biology, it is a far more deeply rooted issue to endeavor to correct, let alone do so spontaneously. I offer this for your perusal. By the way, readers familiar with Richard Bartlett’s Matrix Energetics may see resemblances here to his work. The remainder of this post taken verbatim from the The Fire Burn Doctor. A few paragraphs down is an explanation of the procedure. The mystic is a stage in the conscious evolution of the spirit that occurs when the externalizing structures of perception known as “personality” have exhausted themselves and the attention or awareness is turned inward toward a dialogue with the soul. Henceforth, the cultivation of the soul succeeds in importance the dominating expression and cult of the personality (ego). While this has sometimes been attained as an individual realization or, even more rarely, by a small group or school, never has the mystic been the fully conscious stage or goal of the entire species. Traditional Tibetan, Islamic or Hindu societies have come close to inculcating a religious, if not a wholly mystical value, into their social structures. But there is a question of whether, under present circumstances, mysticism or the mystic ideal can ever be socially institutionalized. To the true mystic, or mystical cultivation understood as a stage in the conscious evolution of the spirit, there must first be an exhaustion of the externalizing worldly personality with its ego, story-line, and games. This represents a natural turning away from so-called normal societal and even biological norms. It is for this reason that the mystic is often perceived as a threat to the mainstream society. The cultivation of the soul and its oneness with God—the Absolute—is the chief preoccupation of the mystic, who, generally, could care less for the values of gain, fame, personal power, pleasure or even family life. And yet, it is characteristic of the fully evolved mystic that he or she will develop an unsurpassably profound compassion for the entire fabric of life, not just for his/her family, tribe, nation, or, even, species. Thus, to consider the mystic as a stage in the evolution of the entire species has profound implications for the structure of human society and, indeed, for the future of the species and all of life on Earth. The fact is that the human species will not have peace on Earth as a universal phenomenon until it has passed, en masse, into the mystical stage of development. This step is inevitable. All the mystics throughout history have been but the evolutionary forerunners of this next, inevitable stage of human evolution. Not only will the humans attain peace through pursuit of the mystic goal of divine union, but within several generations, of their own accord, they will have scaled back their population to a mere fraction of its present number. Furthermore, in pursuit of its mystical goal of divine union by whatever path is suitable to the disposition of the adept, the human species will abandon its present technological lifestyle and material encumbrances, replacing them, instead, with an all but invisible psychotelepathic solar technology. Once this ideal is comprehended and deemed possible, then, to this noble end and out of supreme compassion, must the present day mystic devote his or her entire life. In the unification and synchronization of all mystics to this common goal, lies of the purpose and attainment of cosmic healing. NOW is the time — we are called to our highest service. Patricia Cota-Robles provides her perception of The Plan for your discernment and upliftment. All who know Pat must admit—she is extraordinarily articulate!